The Bob hairstyle is to date one of the most preferred and always in style haircuts, adored by millions and made famous by numerous celebrities. There are a few different ways to wear a bob haircut but one of the best is the inverted short one, which allows you to have longer bangs and shorter at the back giving your hair a very curvy and stylish look. 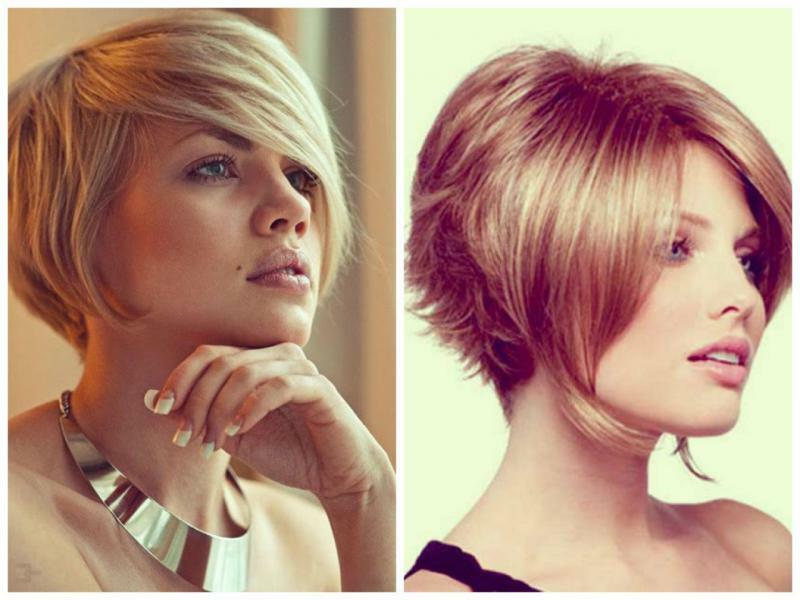 Here are some of the best inverted bob hairstyles for you to try. 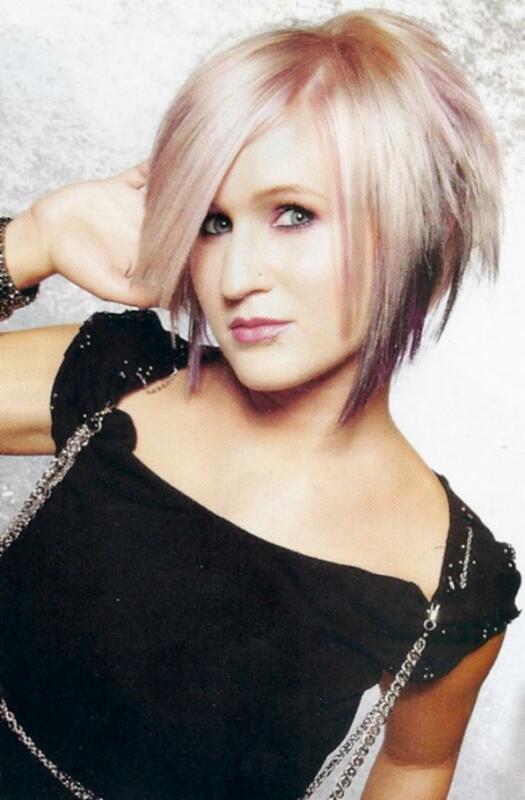 If you go with the ombre for your inverted bob, its shades will accent in a mesmerizing way your eyes and your face. It will also make you look somewhat taller than you actually are and it makes the hair look like it has much more volume, so it is definitely a win-win situation with this style. It is suitable for most types of faces but it works best for women with round faces. We can all agree on the fact that a neatly cut short hair with a great volume is an instant head-turner and a confidence booster. If you cut out some of the inside hair you will increase the volume and the whole look of the hair. Although it looks good on fine hair too, it works even better on women with thicker hair. Because of their free nature, fringes and bangs can make any haircut look amazing and alluring, but adding side bangs to an inverted bob style is going to make it classy and it will achieve a more soft and feminine look. Side bangs work best for women with both squared and round shapes of the face. So, if you are comfortable with the idea of loose bangs, this is definitely the style for you. If you have or you just like blonde hair and want to try to pull it off, going for an inverted bob is one of the best ways. And adding layers to it makes it even more powerful and dazzling. This style will most definitely give an astonishing and stylish look and it is appropriate for all kinds of occasions and it doesn’t require much effort. What’s better than that, right? With this style the hair in the front is slightly longer than the hair at the back with frequent layering. 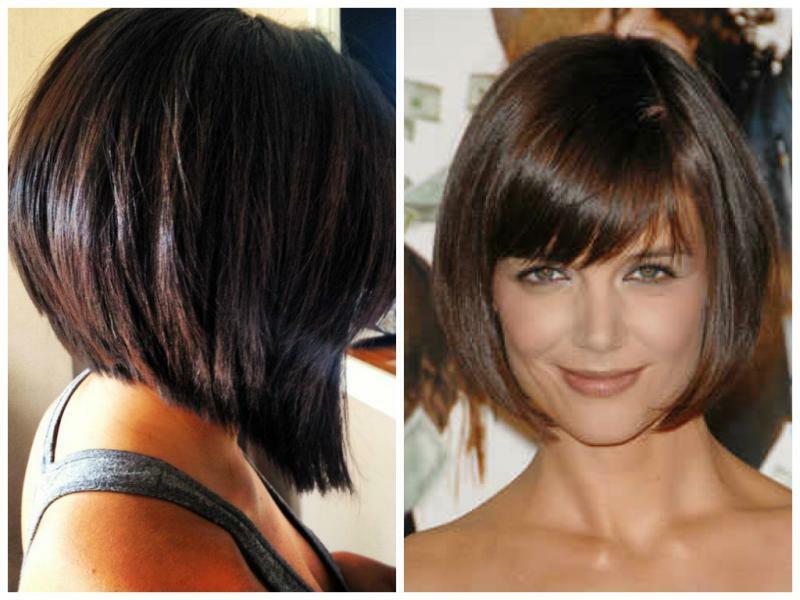 This is a very interesting and exciting version of the inverted bob hairstyle. It is best suitable for young women and probably better for the shirts and pants type of women, rather than the dress-type ones. Here’s a little trick, if the cropped part is cut symmetrically from the back it will look even better. And it goes well with highlights, as they put an accent on your eyes and face. The inverted bob was made by the lots of celebrities who were styling it on a medium long hair but nowadays more and more women prefer it shorter and this style has gained a great deal of popularity. This shorter version works best oval and round shaped faces. If you want a bigger effect, you can add side fringes. As you can probably guess from the name of this style, here the back of the head looks exactly like a stack of hair and yet it is still called inverted because the hair in the front is still longer than the one at the back. It is suitable for almost all kinds of faces and hair types, which makes it a perfect choice for a short-to-medium hairstyle. 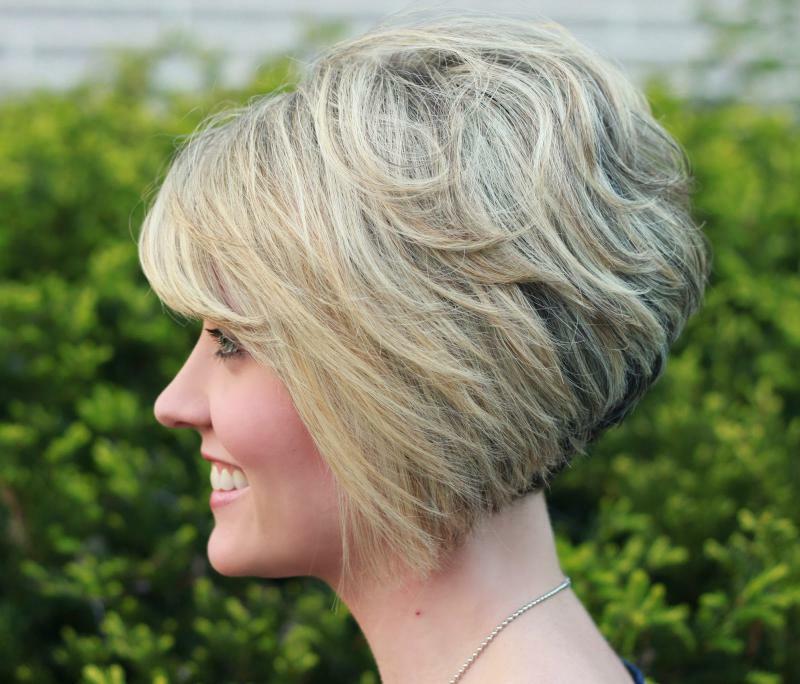 This bob style is different from all the others, as in here we can see that the hair is much longer than usual and the angle of the hair is reversed. 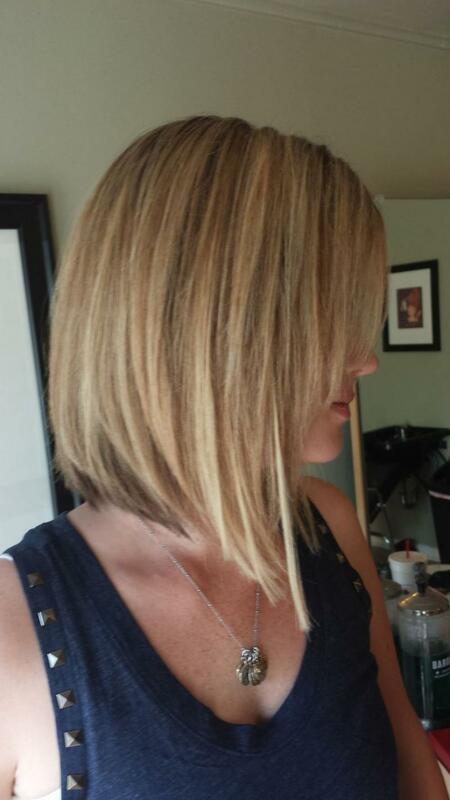 This innovative bob is a great choice for the ladies that prefer longer hair. Even though the longer hair requires more time and care, this is still a pretty neat and proud member of the bob cuts. This version of the bob hairstyle gives you a choice, since you can wear it with both short and long hair. But nonetheless, the cut must be done extremely precise, as only a true professional can get the right angle. And the angle is probably the most important factor of this style and if not done accordingly it might just spoil the whole look for you. But this head-turner is definitely worth the risk.